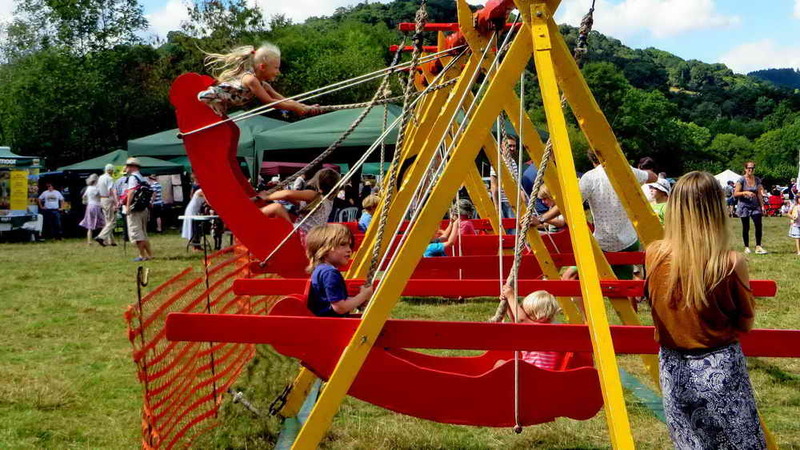 It has to be said that the Lustleigh Show is well-organised and well worth a visit, there is something for everyone, including the DPA stand! Bank Holiday Monday, 29th August 2016, saw the DPA volunteers setting up the gazebo, there being Val Barns, Derek Collins, Phil Hutt (DPA Director), with Berni and Keith Ryan arriving a little later when all was ready. 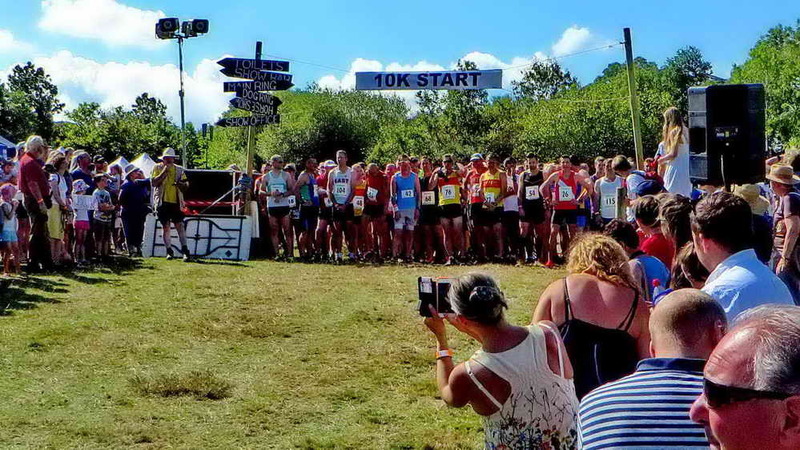 The show uses the modern social media, with its own Facebook page and a Twitter feed and a web site, www.lustleighshow.com. The DPA stand with Val, Berni, Phil and Derek. 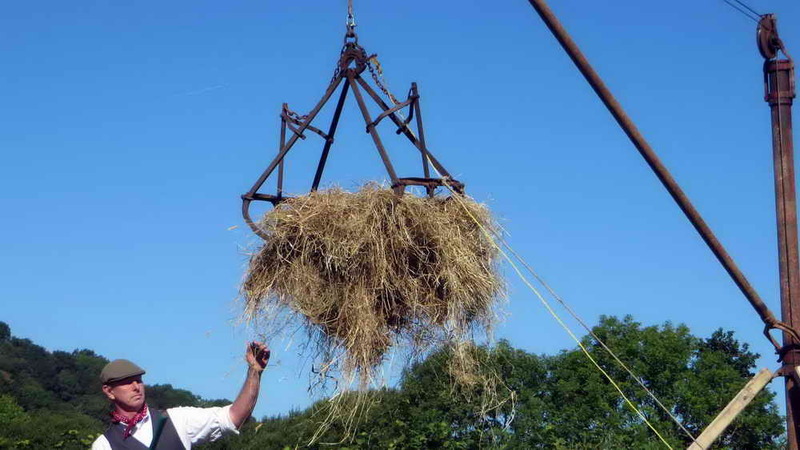 The programme has almost too much to describe here, but to give a flavour, there are two fields with the Main Ring in one and three smaller rings in the adjacent field. 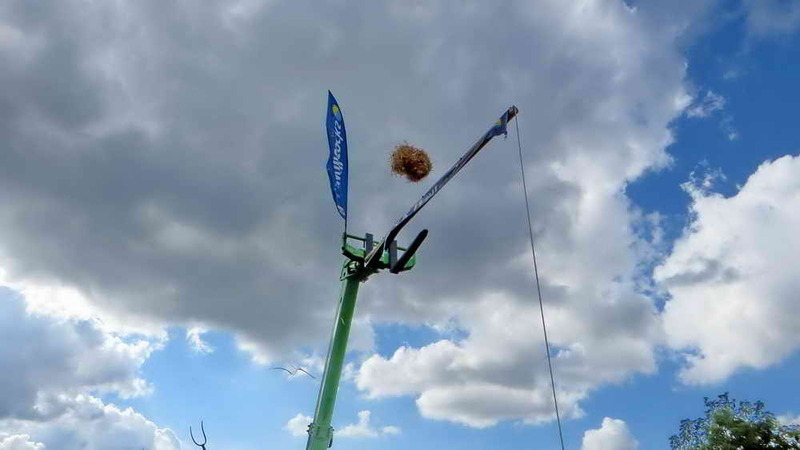 The Main Ring events were hayrick making – actually outside the ring, near the DPA stand. 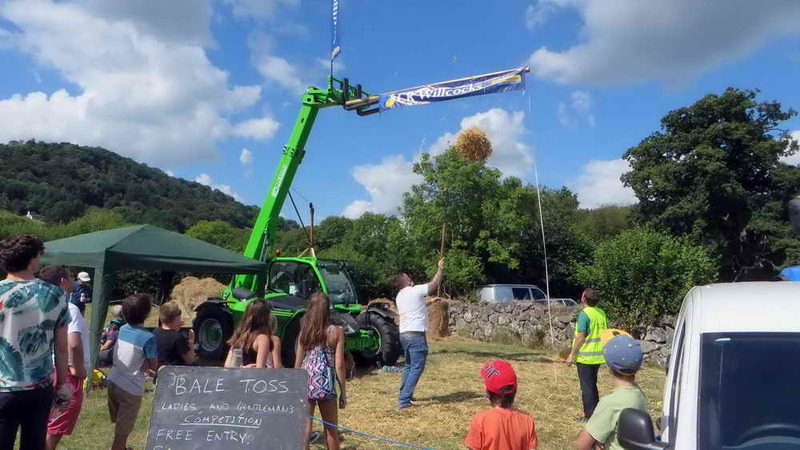 Hay bale tossing was in the same place. 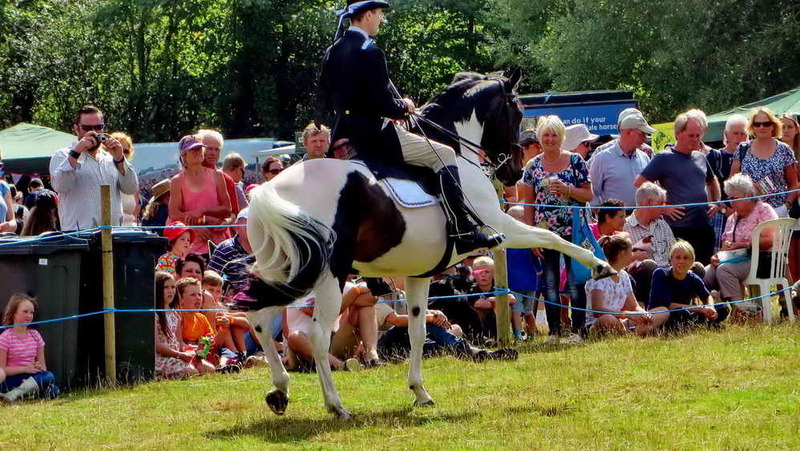 In the ring was falconry, terrier racing, tug-of-war, a dancing horse (a form of dressage?) and other events. The adjacent field also had the horse show spread over the three rings, with and the horse show. The latter had twenty-nine events alone! The Dog Show also used the three rings with thirteen events, or Classes. 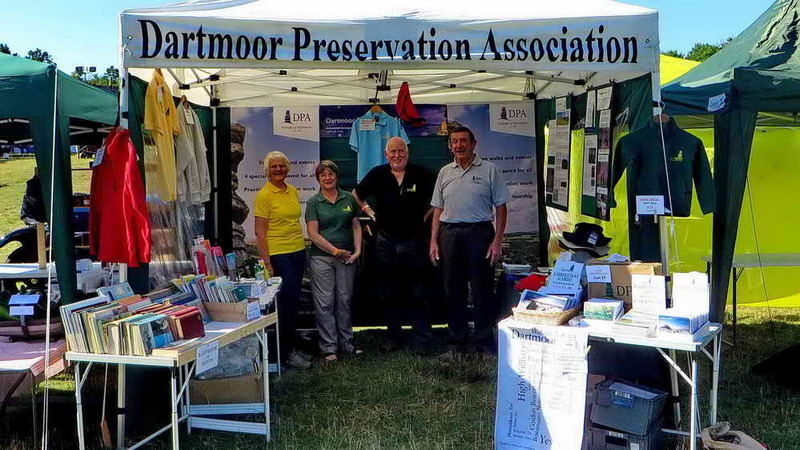 The DPA stand, re-branding as Friends of Dartmoor (see the two stand-up posters at the back of the stand) sells many thingsm including branded leisure wear ….. 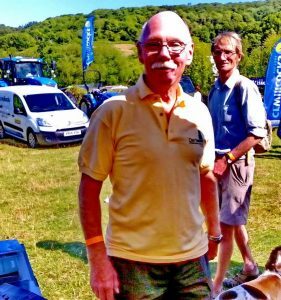 The photo above shows one customer who was pleased enough with his new polo shirt to pose for the DPA blog! 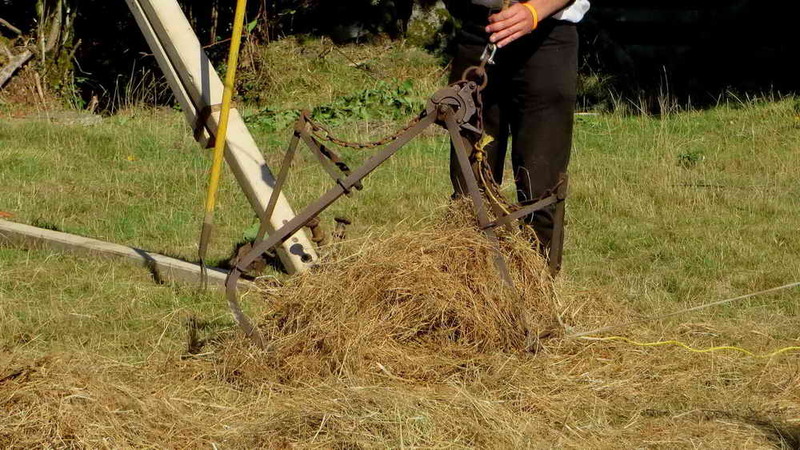 There is also a short movie of hay rick making ….. click on the play icon or on the image below to see it. Press Esc to return to normal viewing. The crowd around the Main Ring. 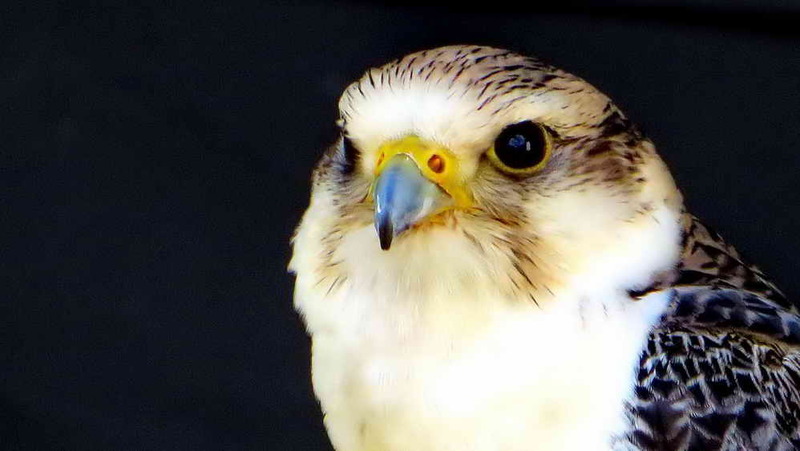 The photograph above was taken during a break between events. 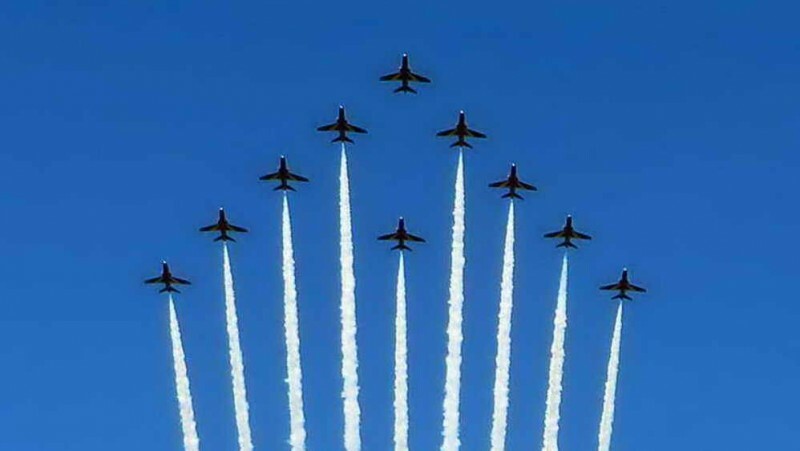 The show has such kudos that they were able to arrange a simple fly-past by the Red Arrows, at 11.50 am. They were remarkably prompt and just did the single pass. 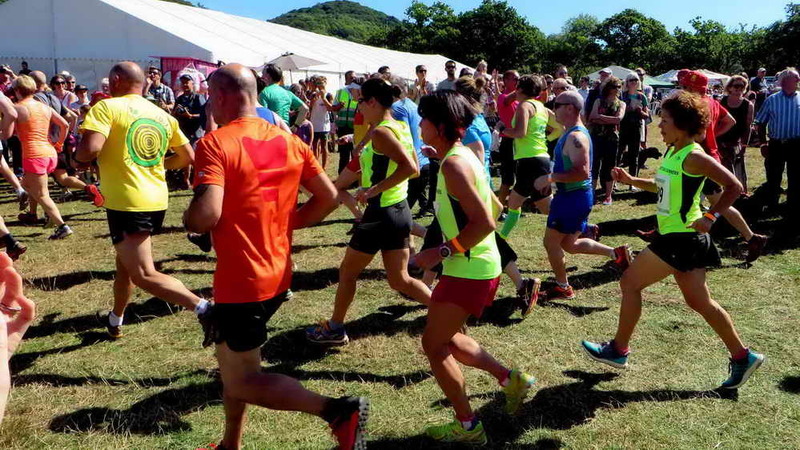 A big feature of the Lustleigh Show is its annual 10K run …..
Lining-up for the 10 km run. 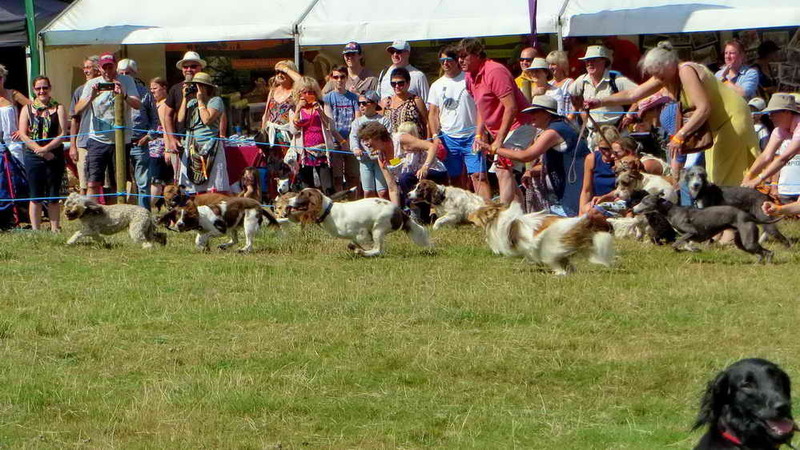 The start of one of the Terrier Races …..
Actually, the dogs above are the “middling” sized dogs, mainly spaniels. 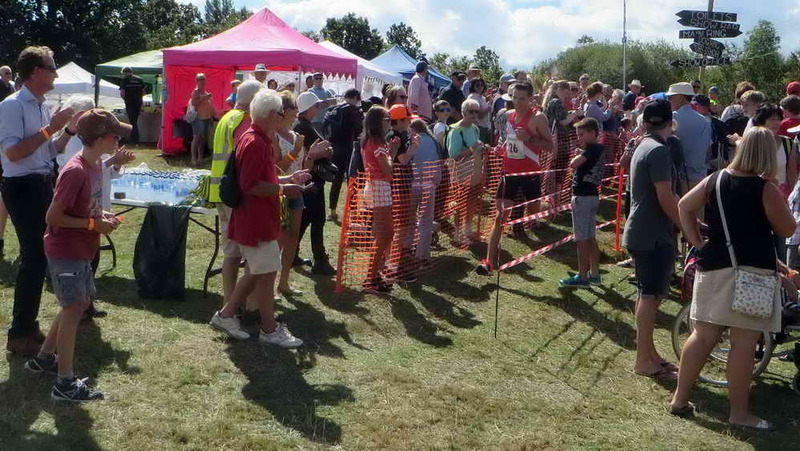 The real terrier race was a bit too chaotic to photograph, you must come and see that one for yourself next year! 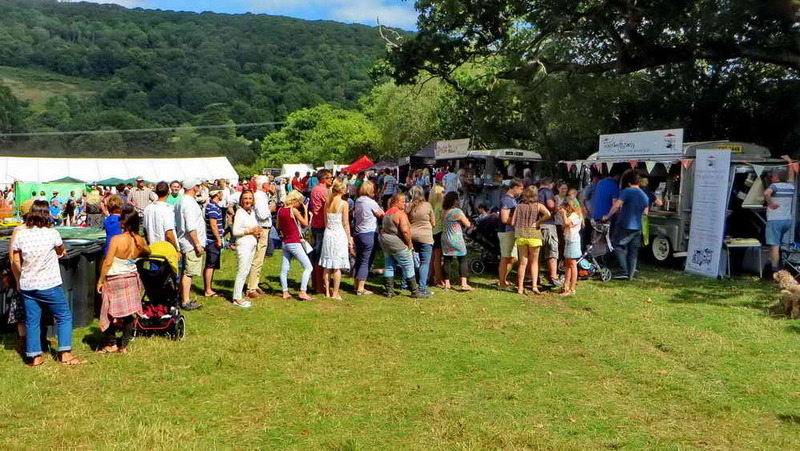 There were fourteen places to buy food and drink, from the Show Bar in the main marquee to vans with names like The Vintage Tea Traveller, Liddicones, Hey Mambo! Coffee, Authentic Thai Food and Lamon Jelli – something for all tastes. 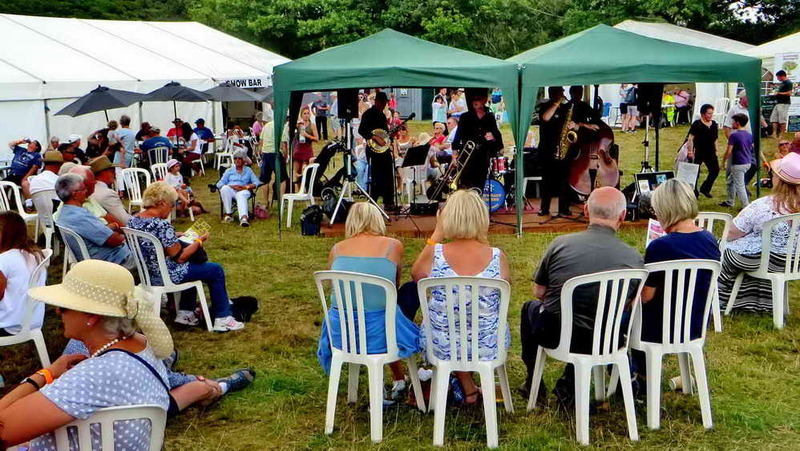 The photo above shows the main jazz band with the entrance to the Show Bar behind, very convivial – if only we weren’t always so busy on behalf of the DPA! 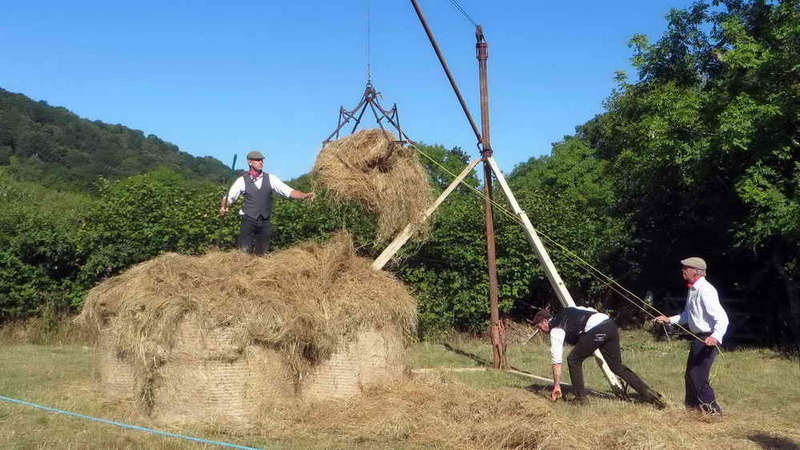 The “bar” for bale tossing, with a bale on its way up. 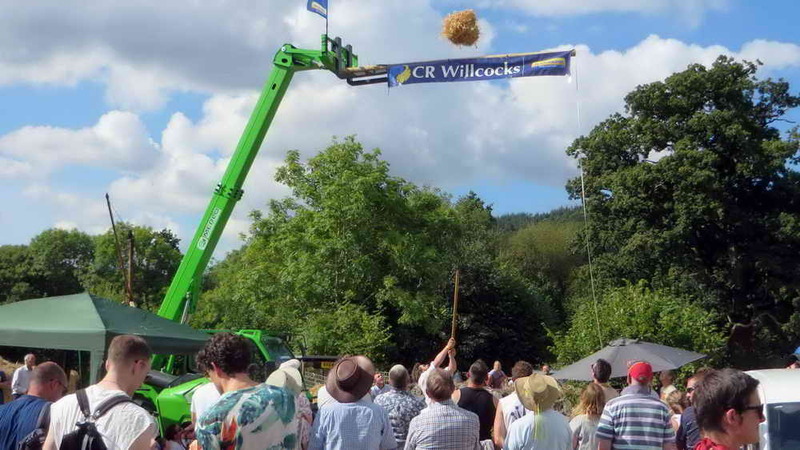 We were lucky with the hay bale tossing in that we had a direct view of the competition from the DPA stand. We saw the free practising all day! 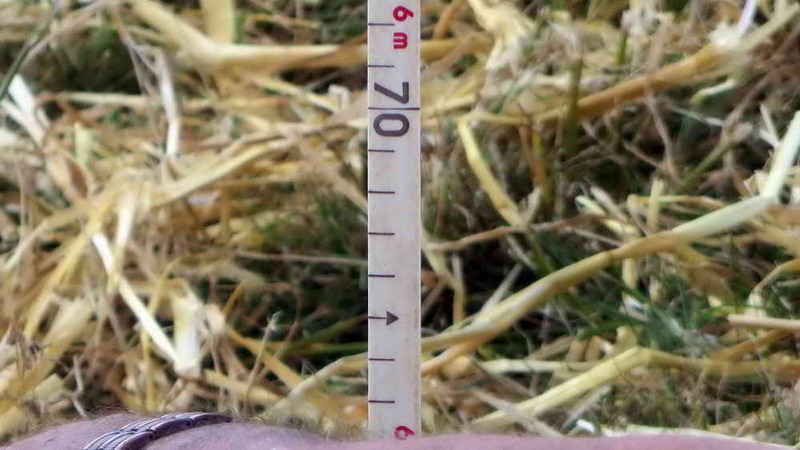 And for those who really want to know ….. 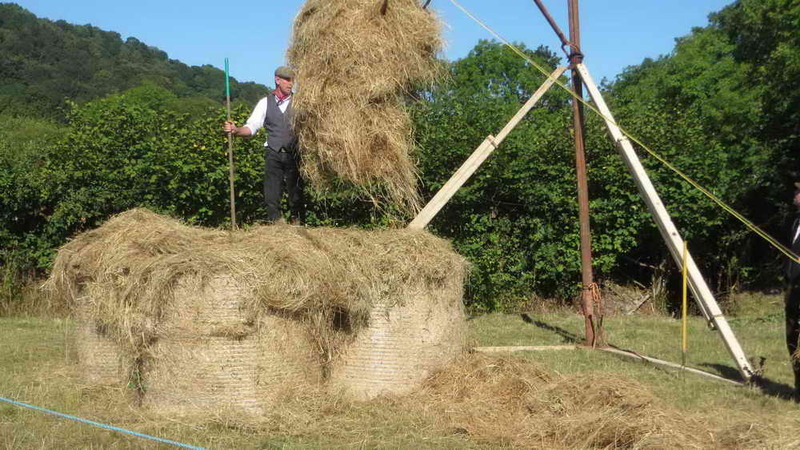 The winning throw of the hay bale (sheaf) was about 6.8 metres or 22 feet 3 inches. 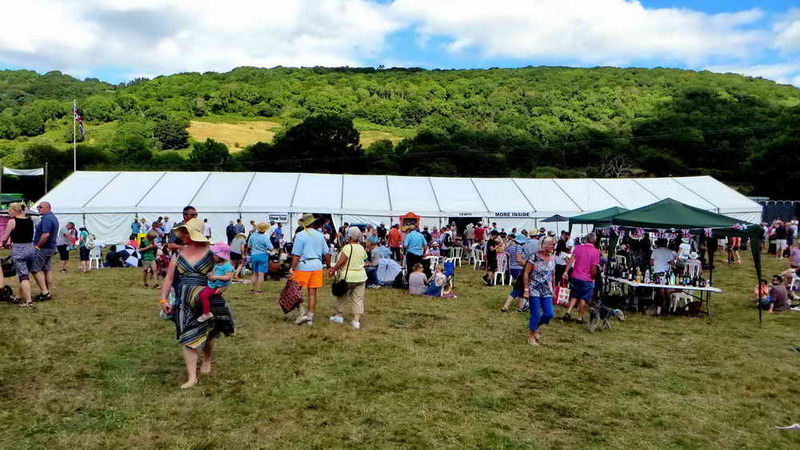 All in all, there was a lot top see at the show and I have not mentioned the main marquee events, where there was a Horticultural Show with 125 Classes! These included Vegetables & Fruits, Flowers, Eggs & Preserves, Cookery, Handicrafts, Floral Art, Photography and a Children’s Section. 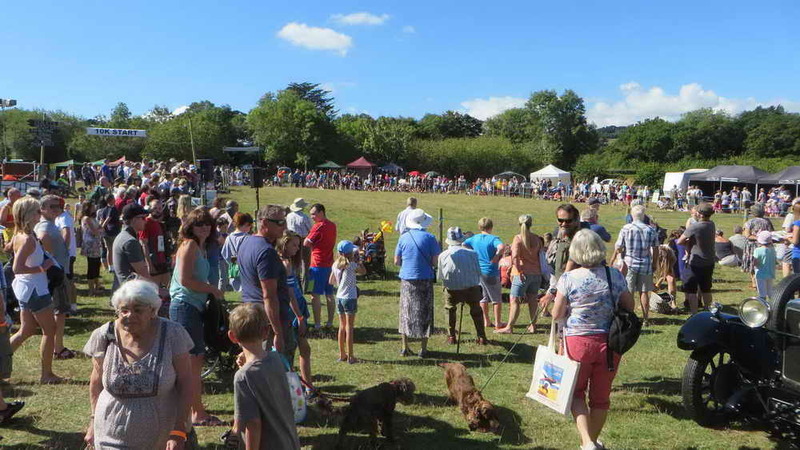 The Show is easy to get to, north of Bovey Tracy and parking is in a large field just across the road from the main Show.